Verteuil-sur-Charente is a village situated on the banks of the river Charente, in the quiet countryside to the north of Angouleme in the Poitou-Charentes region. It is on the pilgrimage route that leads from Tours to Santiago de Compostelle. 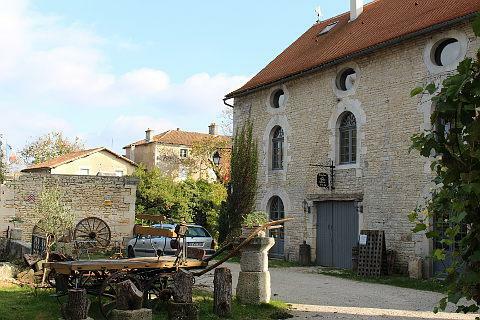 Dominated by the castle that stands above the picturesque river banks, Verteuil is a pretty place to explore with several interesting highlights to discover. France this Way comment: Verteuil-sur-Charente is a lovely little village and one of our favourites in the Poitou-Charentes region. 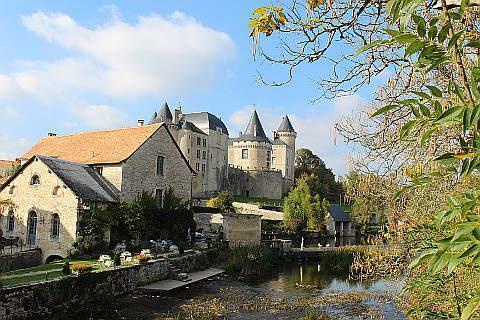 You can park in the centre of the village, and start with a look along the river banks: in one direction the beautiful castle, which is a similar style to those of the Loire valley, dominates the view. 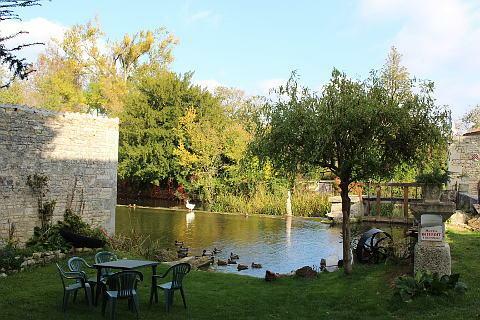 On the river edge there is an ancient moulin which has been converted into a restaurant and looks like an idyllic spot to sit and have lunch! The riverbanks in both directions are very picturesque with gardens, trees and shady willows along the water side, and a small dam and waterfall next to the castle. 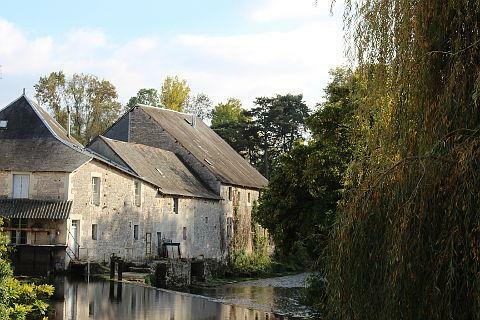 In the centre of Verteuil the river splits and forms an island which is big enough for several houses to be built on it and the 15th century Convent of the Cordeliers which is now a luxury chambre d'hotes. Walk on to the next bridge and you get more lovely riverside views, this time onto a ford in the river and what looks like another mill or possibly a tannery. 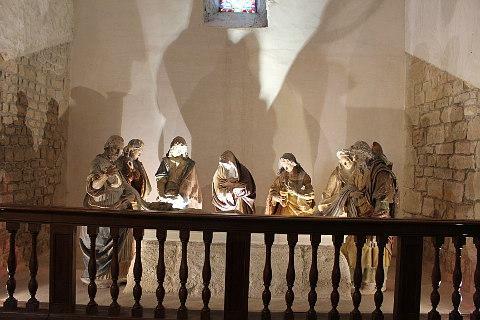 Walking through Verteuil, the Rue du Temple leads to the 12th century roman style Church of Saint-Médard, which contains an impressive 16th century decorated pottery scene representing Christ being placed in the tomb (a 'mise au tombeau), and a carved wooden tabernacle. If the church is locked the lady in the house opposite will be happy to open it for you. Apparently Rue du Temple used to be very muddy as animals were constantly being herded along it and so a steep flight of steps called the "Chemin des Dames" or "ladies way" was built to allow ladies to walk to church without getting muddy. It's worth climbing the steps for the lovely views you get at the top. 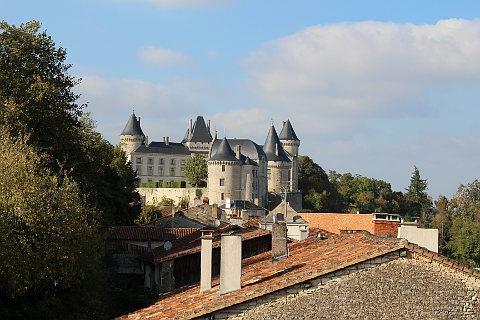 Verteuil castle is a very impressive sight, with several imposing towers capped by conical slate roofs and dominating both Verteuil-sur-Charente and the river below. It is generally considered to be one of the finest castles in the Charente region. Built by the locally important Rochefoucauld family the castle dates from the 15th century, having largely replaced an earlier 12th century castle in the same location. The square castle keep is the main part of the original medieval castle still to be seen, while the round towers with their conical roofs are the 15th century additions. One of the rooms in the castle used to contain a tapestry called the "hunt of the unicorn" but this tapestry is now in the Rockefeller Centre in New York. Set in attractive parkland, the castle was further substantially modified in the 19th century at the time the parkland was created. 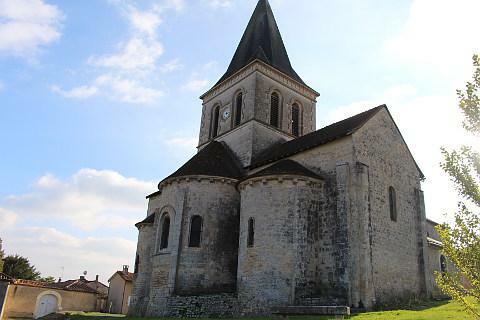 The nearby town of Ruffec has an attractive church and a section of river overlooked by a private chateau. 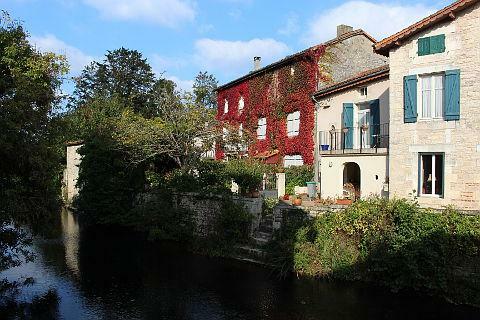 The pretty little village of Nanteuil-en-Vallée is a "small village of character" and also has an attractive arboretum.